In the early 1900s, Dr. Anna J. Cooper, eschewed inherently racist notions that education for African American students should be solely vocational. Pursuing more classical studies, she pushed her students toward some of the best colleges and universities in the country, but her dedication raised the ire of the D.C. Board of Education. During the morning commute on Metro trains are packed. A lot of riders are commuters coming in from Maryland or Northern Virginia. 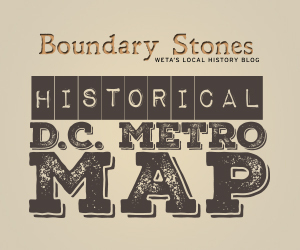 The Metro wasn’t the initial plan; back in the 1950s, the plan was to set up a freeway system to make it easier for people in the suburbs to access D.C. But due to the persistence of citizen groups, this was not to be. Earl Lloyd was a rising basketball star at West Virginia State College, but little did he know how soon he would become an important part of sports history. Toward the end of Lloyd’s senior season he was heading to class with a classmate and she told him she heard his name on the radio that day. Unaware of what she was referring to, Lloyd simply asked what she heard. She told him some team in Washington called the Washington Capitols had drafted him. “You’re going to Washington and they’re going to try you guys out, so show them your best,” said Lloyd’s college coach, Marquis Caldwell. Being from Alexandria, Virginia, it was almost a homecoming party for Earl Lloyd. Before he was at West Virginia State, he graduated from Parker-Gray High School in 1946, Alexandria’s only African-American high school.